It was a brisk fall morning February 17, 2017, when the movers of the OD Shag Club found a new home for our Parade Beads, Ways and Means containers, Entertainment paraphernalia, Pots and Pans, Burners, Backdrops, Food Items, Golf Tournament Signs, Tables, Shelving from the old to the new location and various odds and ends. We started around 8:30AM while members of the Club trickled in for the big move. The Club rented a truck. Wendy Schultz drove her Truck with a trailer on the back. And so the move began! With everyone pitching in and working as a Team, we finished around 3PM. It was a good day for a move. The move was necessary since we had some damage to our precious “stuff” caused by the last Hurricane. It was probably a good happening since we needed to clear out some old items that did need to be discarded. We did manage to salvage the old shelving, which we moved to the new location. Since both storage areas were the same size, we were able to put everything back as we found it from the old location thus the Chairs of each area will be able to find their items without any confusion. Now we have a more secure and clean Storage Unit at Prime Storage. Thanks to the moving team as seen above. 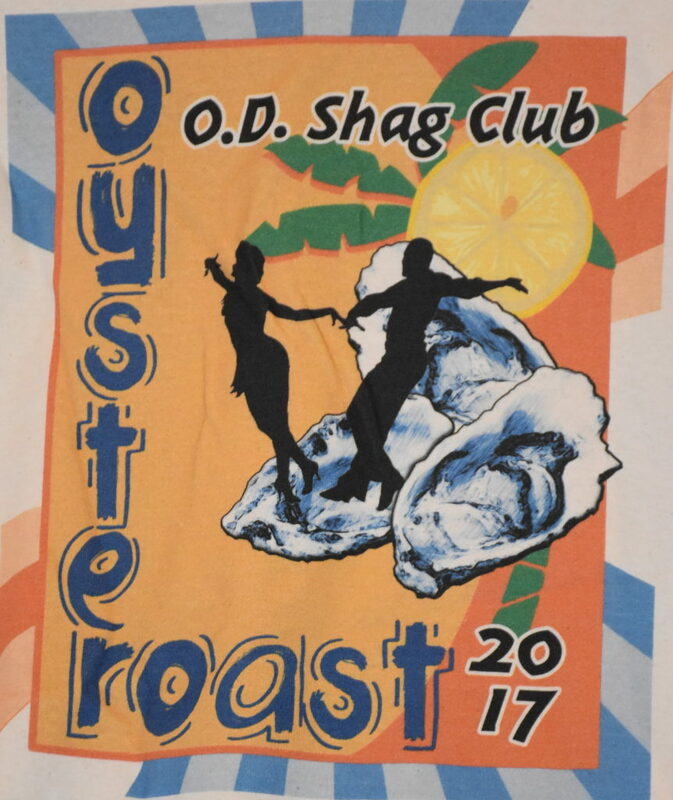 On Saturday, February 18 2017, the club held its world famous Oyster Roast. There were 220 members 18 guest and 7 new members who had knife or spoon in hand. Chicken bog was provided for those who didn’t want oysters. Cathy and Connie sold a lot of new club merchandise as well as the 2017 Oyster Roast shirt. Tim Webb won the 50/50 drawing. Bill Anderson the DJ entertained the crowd. All had a good time, many thanks to the committees which did such a great job and a special thanks to Donnie Schultz and his team who volunteered to help. The OD Shag Club was invited to dance for the D32C Midwinter Lions Convention February 10, 2017 at 7:30PM at the OD Resort, North Myrtle Beach, SC. Many Thanks to Cathy Morse our POC for this event. This event has started off a great season. We had 18 members of our Team dance participate. And this Lions group wanted to learn to dance. 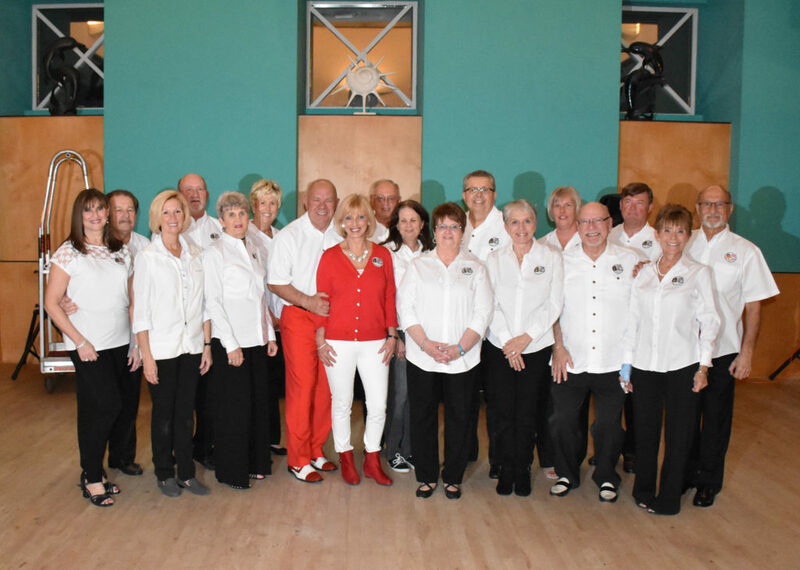 Over half of those present did get on the dance floor, after a short instructional period, the lions members paired off with members of the dance team and danced several songs. The night started at 6:30 PM and finished at 9:00 PM. It was one of the events that most everyone present danced.